Oh, you have a tribal band around your bicep? I can tell you were cool in 1997. Maybe it’s a butterfly on the small of your back or a shamrock on your foot to celebrate your shred of Irish heritage. They might call up feelings of regret, but bad tattoos are nothing if not stories to tell. So tell us about yours. 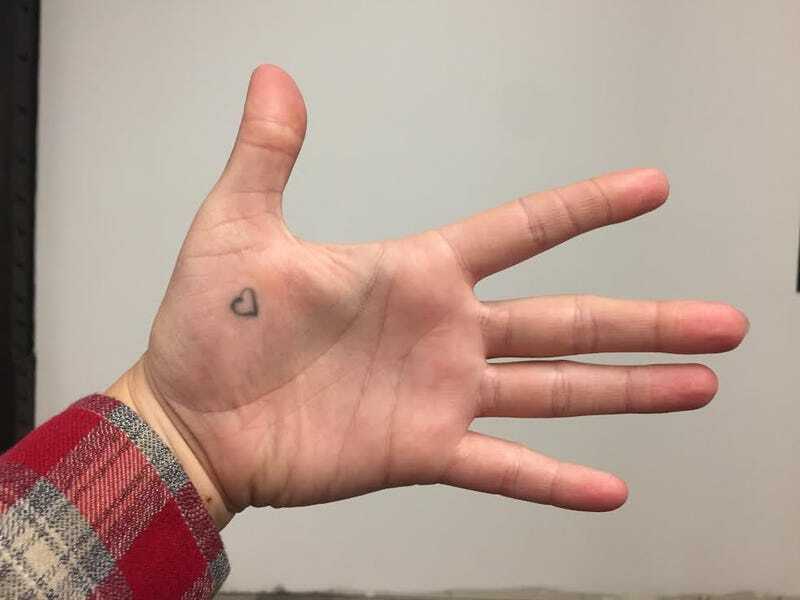 I’ll start: When I was 19, I got a tattoo of a small heart on the palm of my left hand. It looks like it was drawn on, and it faded almost immediately, because that’s what happens to a tattoo you get on the bottom of your hand. Nine years later, it’s still there as a reminder that while youth is fleeting, stupidity can be permanent.